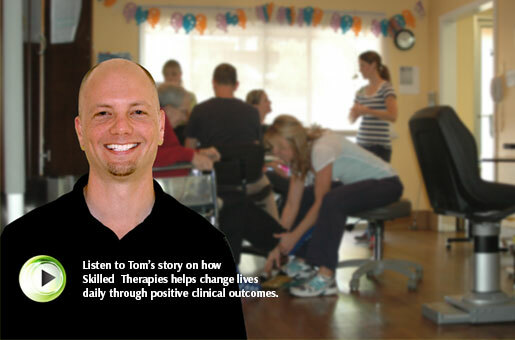 A licensed and/or certified therapist includes Occupational Therapist. A therapist must demonstrate effective communication and organizational skills. They will prove competency in the provision of therapy services in accordance with acceptable standards of practice. This is a Category I job classification per OSHA standards. This employee will have occupational exposure to blood borne pathogens. Duties and responsibilities of the employee are governed by licensure regulations and practice acts of the state in which they are employed. CPR certification in highly recommendation. Maintain timely and accurate records according to polices, procedures and regulations which include evaluations, screenings, progress notes, discharge summaries, labor and service logs. Follow SKILLED THERAPIES policies and procedures for the delivery of patient services. Keep the state license and TB test current and in good standing, in addition to, providing copies of this information to each Director of Rehabilitation and SKILLED THERAPIES Human Resources.